Rainbow Housing is one of the most well-known builders in Pune and is a major player in the real estate space of India. We have projects spread across multiple locations in Pune. With over 12 projects and counting to our name, Rainbow Housing has ensured that each property under our brand meets the highest quality standards. As a Channel Partner, you can introduce your customers to our wide range of properties including apartments, plots, commercial properties. 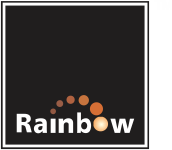 Apply to us now and become a channel partner with Rainbow Housing.